Pine is joined by Keira Knightley, who will be playing as his wife, and Kenneth Branagh, who will be playing the villain as well as directing the film. Kevin Costner also stars as Jack Ryan’s CIA liaison. Jack Ryan centers on the titular character in Russia trying to stop his boss and an evil organization from devaluing the American economy. It is reported to be a prequel to the Tom Clancy novels that were adapted into movies. The script has been through the writer’s ringer and has seen revisions being done by Steven Zaillian, Anthony Peckham, Adam Cozad, and David Koepp. 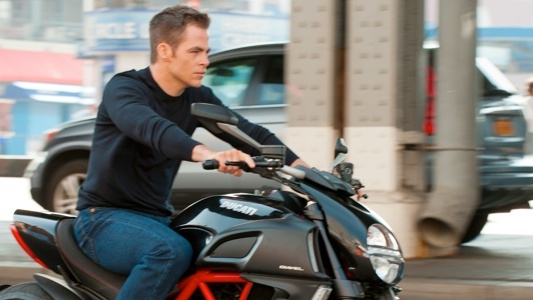 Paramount will release Jack Ryan on December 25th, Christmas Day, 2013. 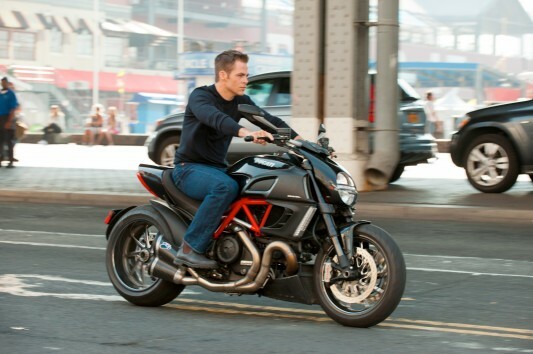 So does this photo of Chris Pine riding a motorcycle grab your attention?